Service animals or service animals in-training for the disabled are welcome at Cannons ballgames. All other animals are prohibited at Franklin Park; specifially, Loudoun County ordinance prohibits dogs at athletic field complex in the County. There are NO Automated Teller Machines (ATMs) located at Fireman’s Field. You will be more prepared if you bring cash. The Cannons accept cash and credit cards for most transactions. Guests are permitted to bring cameras and video equipment into Fireman’s Field, provided that they are for personal use only. Cameras with a lens longer than eight (8) inches may not be brought into Cannons games, except by credentialed media. Fans are prohibited from touching, attempting to touch or interfering with a ball in play or a player during a game. Any guest doing so will be asked to leave Fireman’s Field and requested not to return for the duration of the season. Any guest attempting to enter the field or cause objects to enter the field before, during or after a game or event will asked to leave Fireman’s Field and requested not to return for the duration of the season. All guests are asked to stay alert throughout the game for foul balls or bats that might leave the playing area. Bats entering the stands must be returned if requested by the Cannons or the visiting team. Guests are prohibited from throwing balls back onto the field. Balls should be returned to the Cannons if requested by the PA Announcer (listen for Foul Ball announcements.) Any guest that interferes with a ball in play or the game in any way will be asked to leave Fireman’s Field and requested not to return for the duration of the season.. The 50/50 raffle offers fans a chance to win big cash prizes while supporting the Cannons, a 501(c)(3) public charity. One lucky fan with the winning number will win 50% of that game's raffle proceeds while the other half of the proceeds will benefit the Cannons. The holder of the winning ticket must be present at the time of the drawing in order to win. The odds of winning a raffle depend on the number of tickets purchased. You must be 18 years of age or older to purchase raffle tickets and win prizes. 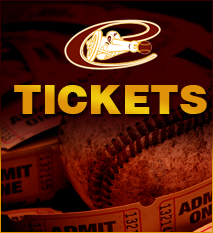 All tickets to Cannons baseball at Fireman’s Field are open seating on a first-come-first-served basis. Accessible seating can be made available by calling the Cannons in advance. Folding chairs may be provided for accessible seating in the following order of priority: patrons with disabilities, patrons who are pregnant, or patrons with special needs. The only reserved seating for Cannons baseball at Fireman’s Field will be for registered VIP groups - Cannons representatives will be responsible for reserving the seats (and marking them with a seat reservation form) prior to 5:30 p.m. ONLY CANNONS REPRESENTATIVES MAY RESERVE SEATS. When all the seats in Fireman’s Field have been taken, we can only provide standing room for additional people (including season pass holders). What Is Permitted In the Gates ? No alcohol is permitted at any Cannons baseball game. No coolers allowed. While we can’t prohibit you from bringing snacks with you, please remember the concessions stand with scrumptious selections is a fundraising activity to support the Cannons! · Cannons home games are alcohol and smoke free (including, electronic cigarettes and smokeless tobacco). · Tops, bottoms and footwear are required for admission. · Be a team player - restrict movement in the aisles and other seating areas to breaks in the action. · Support the officials and participants in a positive manner. · Distribution of leaflets and printed material. · Distribution of products or performing of services, whether for a consideration or free. · Taking surveys or otherwise interfering with the free movement of guests. · Metal or glass containers of any kind (except for clear, factory-sealed juice boxes, insulin containers and baby food, etc.). Violators of any state, county or local laws will be refused admission, asked to leave or reported to law-enforcement. The Cannons and Valley League Baseball thank you for adhering to the provisions of this Conduct Policy. The Cannons retain the right to change or modify this policy at any time.